The SPCA is investigating a reported 100 sled-dog execution up in our current Gay Ski Week stomping grounds, Whistler B.C. Outdoor Adventures is accused of incredibly egregious animal cruelty – the killing of 100 ski dogs. Authorities were alerted to the killings after an employee of the company filed a claim with WorkSafeBC, citing post-traumatic stress. The employee in question was ordered to tether 100 of the companies 300 animals, and kill them in front of one another, before burying them in a mass grave. Throughout the culling, dogs attacked him as he killed their packmates. By the end of the killings, he was covered in blood. Authorities aren’t at all debating his claim of PTS, but asking why on earth he did it. 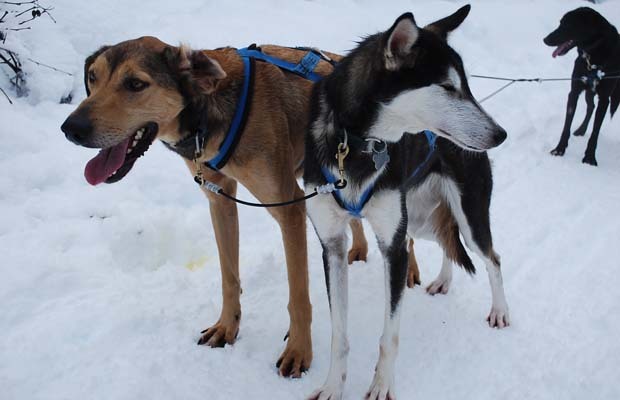 Marcie Moriarty, head of the BC SPCA cruelty investigations division, said the employee, who was the general manager at the time with Outdoor Adventures in Whistler, could have simply said no when his employer ordered him to kill the dogs. The man said in a written declaration to the WorkSafeBC review that he had “developed a strong emotional bond of mutual love and trust with” the dogs before carrying out the “execution-style” mass cull over two days. “I’ve no doubt he has suffered post traumatic stress but there’s a thing called choice,” said Moriarty. “I absolutely would not have done this and he could have said no. This is a Criminal Code offence … I don’t feel sorry for this guy for one minute.” Moriarty said the man chose to shoot and kill the dogs on April 21 and April 23 inhumanely. id=”attachment_1722″ The animals were killed in open view of one another, while fenced up in pens. Both police and animal rights investigators are pursuing legal action against Outdoor Adventures. The entire thing is such a shock and a shame. Why would someone agree to the murder of 100 animals? Thanks to UB reader Nick Jones for the story.